The affect of trauma on a child’s behaviour and their thought processes – understanding these and you can respond more appropriately. 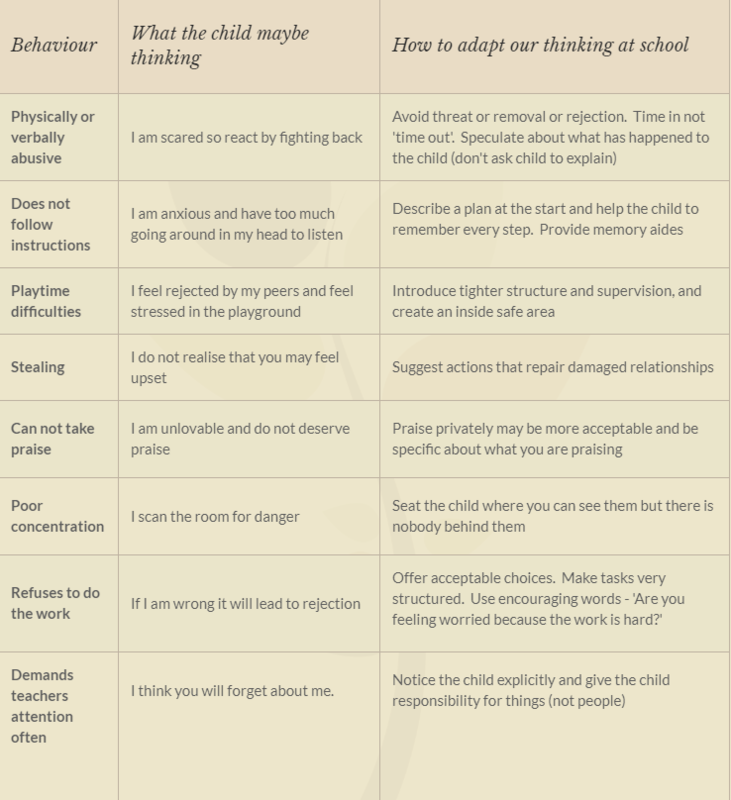 Attachment and developmental trauma can really effect a child’s behaviours in school and what they are really thinking. With access to a social and emotional developmental framework, you look at behaviours and realise that the child is acting at a much younger age developmentally. It’s only then you can start to build up the child’s experiences so they fill the gaps in their skill set, enabling them to progress in their learning and social and emotional relationships.